This entry is part 3 of 13 in the series Magento 2 for PHP MVC Developers. Earlier posts include Introduction to Magento 2 -- No More MVC, and Magento 2: Serving Frontend Files. Later posts include Magento 2: Code Generation with Pestle, Magento 2: Adding Frontend Assets via Layout XML, Magento 2 and RequireJS, Magento 2 and the Less CSS Preprocessor, Magento 2: CRUD Models for Database Access, Magento 2: Understanding Object Repositories, Magento 2: Understanding Access Control List Rules, Magento 2: Admin Menu Items, Magento 2: Advanced Routing, and Magento 2: Admin MVC/MVVM Endpoints. The specifics in this article refer to the official Magento 2.0 released in the fall of 2015. While the specifics may change in future versions, the concepts should apply to all versions of Magento 2. If you take a close look at how Magento handles unix file permissions in its code generation systems, one thing is clear. The core team are not fans of Apache’s mod_php module, and probably run their systems using some sort of PHP-FPM/FastCGI implementation. As a result, if you’re running PHP with the Apache mod_php module (the most common out of the box way of running PHP) you may end up running into problems with Magento created files. Specifically, files created via command line mode that PHP can’t read/write when running in web server mode, or vice versa. “The right” thing to do here would be to ensure the apache user and your own shell user are in the unix same group. That’s a non-trivial thing to do though. If you’re not up for it, and you understand the security implications, another way of dealing with it is just chmod 777ing your development files in pub/static and var/ folders. Here’s two quick find commands that will do this for you. This isn’t my favorite approach, but until Magento 2 gets its permission situation in order it’s the only simple way of dealing with your development environment. Concerns about file permissions aside — step one is creating a new module. We’re going to run through the steps, cookbook style, below. If you’re curious on a more in depth look at creating modules in Magento, try our Introduction to Magento 2 — No More MVC article. We’re going to name our module Pulsestorm_FrontendTutorial1. To create this module, we’ll need to create two files. First, create the module.xml file. With these two files in place, use Magento’s CLI program to enable your module. Info: Some modules might require static view files to be cleared. Use the optional --clear-static-content option to     clear them. And then run the CLI’s setup:upgrade command. After doing the above, your (functionless) module will be installed into the Magento system. The top level module view folder (app/code/Pulsestorm/FrontendTutorial1/view) above, is where a module developer places all files related to Magento 2’s user interface. This includes the front end files we’re interested in today, as well as Magento’s layout handle XML files and phtml template files. The next folder, base, is the area folder. Areas area a way to split individual Magento 2 applications into different areas of functionality, based on the URL. i.e. The cart application is Magento’s frontend area, the backend admin console is the adminhtml area. So what’s the base area? This is one of those places where Magento 2 has improved on Magento 1 — the base area is a special folder that will allow you to serve your files from either the frontend or adminhtml areas. We’ll talk more about this below. Next up is the web folder. Files in web are ones that will be served via http or https. While they’re beyond the scope of this article, other folders at this level are email, layout, page_layout, templates, and ui_component. Finally, we have our file, hello.js. Notice, unlike Magento 1, there’s no need for us to create a sub-folder for our assets. Because these files already live in a Magento module folder, Magento’s smart enough to know where they should go. That said, some Magento core modules still separate out these files with an additional folder/namespace. While you’re free to do this, there’s no need to do this. Module files explained, next up let’s take a look at that URL. We’re going to examine each URL segment and describe where it comes from. For the most part, you won’t need to remember all this — Magento will do most of the URL generating for you. However, understanding the URL asset path will be useful if you’re debugging a system that’s returning 404s, 500s, or some other error when browsers request front end asset files. i.e., using adminhtml instead of frontend. We’ll talk more about this in the area section below — for now all we need to know is this URL segment is the area. The next URL segment is Magento — this is the vendor prefix for the theme name. This is similar to the design package in Magento 1. This is Magento because the theme we’re using is in the app/design/frontend/Magento folder. After the vendor prefix is the theme’s actual name. In our case, we’re using the blank theme in the URL. However, we could also use the luma theme that ships with Magento 2.0, or any theme installed in the system. Notice the i18n folder — this stands for internationalization, and is topic well beyond the scope of this, or any single, article. Our final url segment is the name of our module — Pulsestorm_FrontendTutorial1. 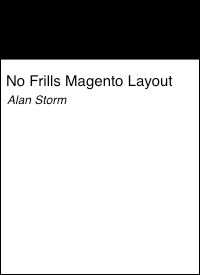 This is why Magento 2 doesn’t need you to self-organize your files in the view/[area] folder. By generating URLs with the module name in them, Magento 2 has enough information to find the file in your module folder. Change this segment of the URL, and Magento won’t find your file. With developer mode enabled, Magento will use each of these URL segments to find the correct file, read it into memory via PHP, and echo it back out to the end user. While this is appropriate for an individual developer’s machine, this sort of dynamic lookup would be unacceptable for a medium to high traffic production system. That’s where static asset generation comes into play. This is a common approach for many PHP frameworks. However, another common approach is to just copy the file over the first time its requested. There’s no clear right way here, and I wouldn’t be surprised to see the Magento core team flip-flop its approach in a future release. #If you're having trouble, did you check pub/.htaccess for mode setting? Magento will return a blank screened, 404 for the file. After the above finishes running, you’ll have a statically generated file for every web file in every Magento module. We can see this if we use the command line find program to look for generated hello.js file. Here we can see that Magento has created three hello.js files. One is for the backend theme in the Magento adminhtml area. The other two are for the frontend area — one for the blank theme, another for the luma theme. This means if you change something directly in a module folder on your production system, you won’t see the change reflected on the live site. Also, if you do directly edit the files in the pub/static sub-folders, your changes will be deleted the next time someone deploys to the production server. Another thing to watch out for here: If the symlinks from development mode are still present in the pub/static sub-folders when you run setup:static-content:deploy, Magento will not remove them. On one hand — this shows whomever implemented setup:static-content:deploy cared enough to make sure their command wasn’t destructive. On the other hand — if your deployment procedure isn’t super tight, this means you may end up with symlinks on your production website. This added the hello.js file to both the adminhtml and frontend areas. You should see your file returned without a hitch. However, if you attempt to load the same file using an adminhtml area, you should see a 404 Not Found error. the file in the specific area folder (frontend above) will win out. Now that we have a better understanding of how Magento serves front end static assets, and also understand how we can add individual front end assets to our own modules, our next steps in exploring the various Magento systems that will let you use these assets. That’s where we’ll start next time.